The Department of Energy is targeting from $1.5 billion to as much as $4 billion for a new renewable energy project loan guarantee program, one that could open the door to solicitations for a range of smaller-scale, distributed and grid-integrated projects by the end of this year. These details on a potential second round of DOE green energy loans were provided by Peter Davidson, executive director of DOE’s Loan Programs Office, during a Wednesday interview at the ARPA-E Energy Innovation Summit outside Washington, D.C. 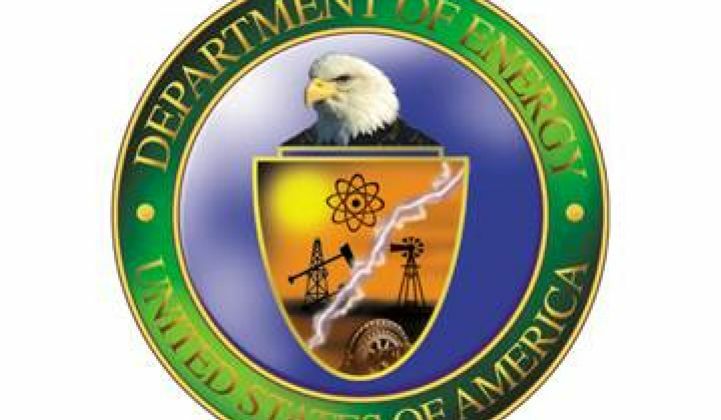 It could be the first time a DOE official has put a dollar figure on a much-anticipated, but mostly hinted-at opportunity for renewable and carbon-free energy projects on the verge of commercialization to access the department’s remaining loan authority. The amount will be a lot less than the $16 billion in loans DOE delivered to massive solar-thermal projects like the Ivanpah solar tower project, Abengoa’s Solana and SolarReserve’s Crescent Dunes, and utility-scale solar PV projects like Agua Caliente, California Valley Solar Ranch, Antelope Valley, Desert Sunlight and Sempra Mesquite. The last loan from that program, known as the 1705 program, was issued in Sept. 2011, and DOE has remained mostly quiet on new loan guarantee opportunities since then. No doubt the failure of loan-backed solar manufacturing companies Solyndra and Abound Solar, and the political firestorm that ensued, had a role to play, even though the DOE has cited the program’s 97 percent of still-good loans as evidence that it has picked well so far. But since October, when Davidson, a former investment banker, took over, the loan office has issued about $6.5 billion in guarantees for two nuclear reactor projects, as well as soliciting projects for an $8 billion fossil fuels technology program -- and renewables are next on the list, Davidson told me. While DOE’s 1705 program funding is gone, the Loan Programs Office still has $1.5 billion in remaining renewable energy authority under the separate 1703 program, he noted. It also has roughly $2 billion in mixed-use authority, as well as hundreds of millions of dollars in credit subsidy authority, that could add up to about $4 billion in available funds for a renewable solicitation. None of this is set in stone, Davidson emphasized. But the Obama administration and Energy Secretary Ernest Moniz are eager to fulfill the program’s mandate to back innovative technologies and business models that reduce greenhouse gas emissions, and are viable for commercial scale, yet lack the track records to obtain purely private financing. First of all, it’s clear that any new program will be targeting much smaller projects than the $800 million average loan amount -- and some, like Ivanpah’s $1.6 billion, much larger -- given to the eighteen generation projects funded under the previous program, he said. Second, the new program is likely to target projects that are aimed at answering new challenges -- including those raised by the same kinds of market transformations that the first round of projects helped bring about. About 10 percent of the 10 gigawatts of U.S. solar energy now on-line came from DOE loan-backed projects, but that kind of support isn’t needed for large-scale solar PV or wind power anymore, he noted. But the growth of renewables is raising a whole host of new challenges, and “one is the integration of renewables into the grid,” he said. “How do you go from intermittent renewables, to fully dispatchable renewables over time? We have a couple of projects that are demonstrating how that transition can go forward,” including two solar thermal projects, Abengoa's Solana project in Arizona and SolarReserve’s Crescent Dunes project in Nevada, that use molten salts to store heat energy for hours and reduce the units’ dependence on sunlight for when they can generate power. But there are more possibilities for bringing stability and flexibility to intermittent wind and solar resources, he said. “California now has a huge storage mandate,” becoming the first state to demand grid energy storage ranging from utility-scale to customer-sited technologies. DOE will be looking for “other ways we can work with storage on a more distributed scale,” Davidson said. Another realm “almost ready for a technological transformation” is waste-to-energy, he said. “We have a huge problem in this country with municipal solid wastes, going into landfills, creating huge methane leakages.” Technologies that offer cost-effective ways to capture and convert that waste to create energy or fuels could be viable targets for loan backing that could, once again, “tip the needle” toward commercial viability, he said. This point brings up an overarching challenge in bringing “bankability” to renewable energy projects, he said. All of the eighteen large-scale renewable projects backed by DOE’s 1705 projects had secure payback streams, in the form of power purchase agreements for the energy they produced, he noted. While DOE’s loan program doesn’t require that all its projects have solid offtake agreements for the energy they’re meant to produce, “From our perspective as lenders, we have to make sure that if the generation is produced, there’s a buyer -- and that the buyer will pay enough,” he said. In other words, “There has to be someone who will buy the power,” he said. That could come via PPAs from utilities seeking to fill state-mandated renewable portfolio standard (RPS) quotas, or contracts with private buyers. It could also come from broader policy-driven payback streams, such as the feed-in tariffs offered by a handful of jurisdictions in the United States -- or, perhaps, the net metering policies that are a far more common method of valuing renewable energy at the state level, but far more uncertain in terms of their long-term payback potential.